Royal Philips has released its second annual report on the status of connected healthcare technology and what lies ahead. The Future Health Index draws on quantitative surveys, data analysis and interviews to explore global developments in the use of innovative medical products and the perception of these devices in 19 countries. To reach their findings, researchers gathered responses from 3,891 healthcare professionals and 29,410 members of these nations' adult populations, as well as 151 insurance professionals from the U.S., the U.K., France, China and the Netherlands. The report considers a variety of issues relevant to medical product manufacturers, such as healthcare access, systems integration and the clinical adoption of devices that allow immediate transfer of information between patients and their care providers. The firms producing the next generation of connected care technology should always be aware of how healthcare delivery is changing and the perceptions of these shifts among both experts and the general public. Drawing on these insights, they can tailor the next steps in medical product design to meet the needs of tomorrow's health ecosystem. "Patients need a greater sense of ownership over health management." One of the most important concepts to emerge out of the study is the need to bring patients and medical professionals a greater sense of ownership over health management. When people don't understand or feel they have any control over their own records, it can get in the way of optimizing treatment and prevention efforts. Meanwhile, many health systems are struggling to provide high-quality care in a timely fashion due to longer lifespans, a lack of essential personnel and outdated delivery models that fail to meet current demand. Increased use of connected technology may be a vital factor in improving this situation. Patients who are using wearable devices or similar products better comprehend how prevention strategies and treatment plans play out in their daily lives, allowing them to take greater control of their own care. In turn, putting more control in the hands of patients reduces some of the burden on overwhelmed systems. Another problem that's widespread in current healthcare models is a disjunction between the perspectives of medical professionals and the people they are treating. While 84 percent of American respondents gave positive ratings of their own health, 53 percent of those in the medical field agreed that the populace was generally in good shape. The differences between the general population's view of its well-being and the opinions of experts tend to be even greater in emerging markets like Brazil or South Africa. The differences between the views of healthcare professionals and patients can be reduced by making detailed, up-to-date information more readily available. With the right technology, people have more effective guidance in sticking to treatment schedules and maintaining preventive measures. Better-informed patients gain a new sense of how their needs are shifting over time and when they need to consult with an expert. In addition to shifting the ways people think about their own health, connected products have the potential to bring about concrete gains for care access and outcomes. Given the mounting demand for services in the face of limited resources, the report emphasizes the importance of bringing greater efficiency to medical systems. More widely available devices that enable preventative care could be an important part of making such change a reality. Digital medical products enable remote care initiatives, which extend treatment and guidance to underserved populations. Even in a country that offers a high level of health access, such as a Canada, many people live too far from urban centers to take full advantage of top-quality facilities. Monitoring the well-being of individuals outside of a hospital or doctor's office provides extensive opportunities to build a holistic approach that catches problems before they become life-threatening. 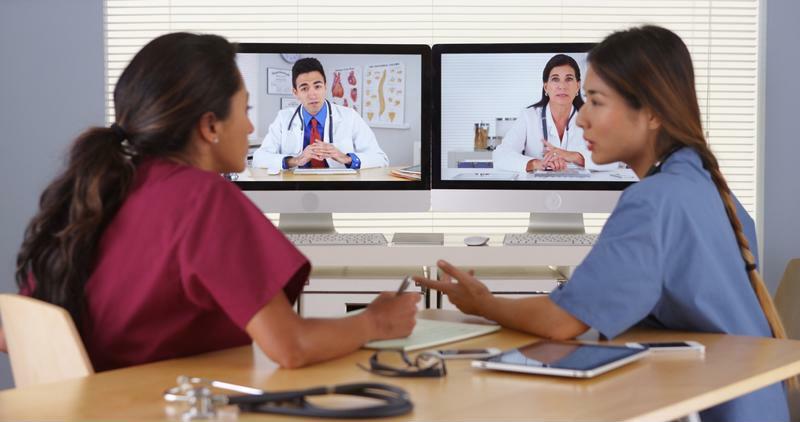 Connected devices bring advantages for remote consultations. For connected healthcare to reach the greatest level of success will take advances in data integration. The study found that healthcare systems are commonly less connected than patients think they are, suggesting one way to improve the situation would be greater investment in Internet of Things-enabled devices and the infrastructure to support them. First, however, stakeholders must overcome persistent issues with data collection and record-keeping. Healthcare systems must establish standards and processes that allow effective, secure sharing of useful information. While many patients are already passing along readings they have collected themselves through wearable devices, consistent rules would facilitate integration. Promoting interoperability between while also protecting patient confidentiality are vital for continuing to advance connected medical products. Connected technology has tremendous potential to bring gains to medical practices worldwide. However, the Future Health Index emphasized that respondents are not interested in seeing machines take over the tasks handled by healthcare professionals. They showed little interest in ideas like automating the work done by doctors or making an appointment to consult with a hologram. Instead of striving to have technology entirely take over the traditional consultation, makers of medical devices should focus on keeping people at the center of these interactions. Investing in human factors engineering and other features that improve the experience of treatment and care for patients will pay off in the long run. The future of connected medical technology is about letting people feel more in charge of more of their own wellness and data while giving professionals the information they need to deliver better results with consistency and efficiency.